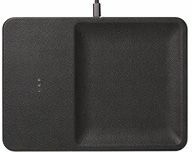 Smartphone chargers can “ruin the entire feng shui of a room,” but not this wireless pad. Wrapped in the same Italian leather used in luxury handbags, the Courant doubles as a dish for your wallet and keys. 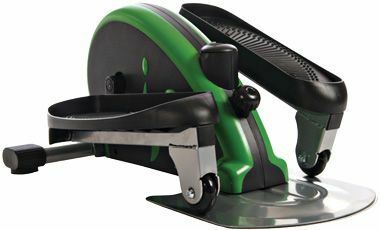 A smaller $80 version is also available. 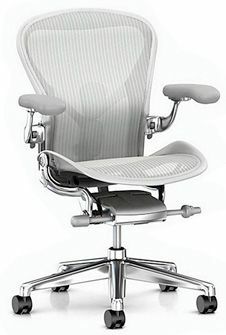 “A staple of the modern office,” the revered Aeron was recently given its first thorough update. Changes to the suspension system better support the back, while tweaks underneath make it easier to adjust the chair to fit your body. Few people still need a laser printer, but this one’s “actually pretty cool.” About the size of a three-ring binder, it comes in a handsome hard-cloth cover and lets you print from anywhere using a smartphone—or even Alexa. Never owned a standing desk before? 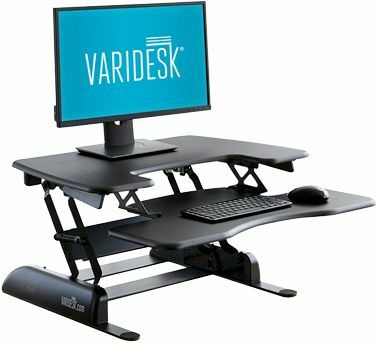 “A convertible model like this is the way to start.” Lifting the Varidesk is easy, thanks to a spring-loaded mechanism, and there are 11 different height settings. It’s available in black, white, and faux wood.